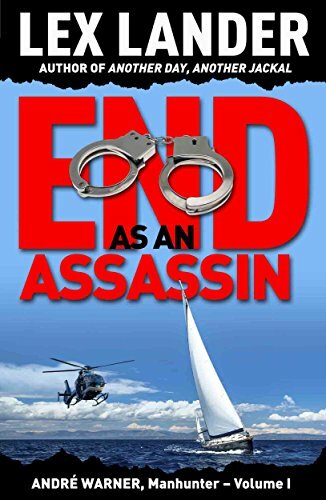 I would like to read End as an Assassin by Lex Lander, whose other novels include I Kill and Another Day, Another Jackal ( End as an Assassin is Volume One of the Andre Warner Manhunter series of thriller novels). It features André Warner, an ex-British Secret Service professional killer, whose Thirty-nine previous contracts have made him a wealthy man, and his fortieth is set to be his last, after which he plans to retire to Geneva. The hit goes smoothly enough, and the victim – a degenerate drug baron – is dispatched with minimal fuss and no traces left to incriminate Warner. Then he meets Gina, a hauntingly beautiful divorcee, fugitive from a bad marriage. The timing is seemingly perfect, coinciding as it does with Warner’s new beginning. They soon become lovers, and are set to spend their life together. However their idyll is shattered when a former associate turns against Warner, and he faces exposure and arrest. So accompanied by Gina, he flees his Geneva home, only to run from the clutches of the Swiss police into a far deadlier Marseilles crime syndicate whose boss has a score to settle on behalf of Warner’s last victim. Suddenly Gina is at risk through her association with him, and in trying to protect her he only makes matters worse. His retirement plans in shreds, his life on the line, Warner is forced to stage a comeback. Only this time it’s not for money. It’s for blood, pure and simple. American songwriter, musician, singer, actor, and voice actor Isaac Lee Hayes, Jr. sadly passed away– August 10, 2008. Born August 20, 1942,Hayes began his recording career in the early 1960s, as a session player for various acts of the Memphis-based Stax Records. He later wrote a string of hit songs with songwriting partner David Porter, including “You Don’t Know Like I Know”, “Soul Man”, “When Something Is Wrong with My Baby”, and “Hold On I’m Comin” for Sam & Dave. Hayes, Porter and Stax studio band Booker T. & the M.G.’s were also the producers for Sam & Dave, Carla Thomas and other Stax artists during the mid-1960s. Hayes-Porter contributed to the Stax sound made famous during this period, and Sam & Dave credited Hayes for helping develop both their sound and style. In 1968, Hayes released his debut album, Presenting Isaac Hayes, a jazzy, largely improvised effort that was commercially unsuccessful. His next album was Hot Buttered Soul, which was released in 1969 after Stax had gone through a major upheaval. The label had lost its largest star, Otis Redding, in a plane crash in December 1967. Stax lost all of its back catalog to Atlantic Records in May 1968. As a result, Stax executive vice president Al Bell called for 27 new albums to be completed in mid-1969; Hot Buttered Soul, was the most successful of these releases.This album is noted for Hayes’s image (shaved head, gold jewelry, sunglasses, etc.) and his distinct sound (extended orchestral songs relying heavily on organs, horns, and guitars, deep bass vocals, etc.). Also on the album, Hayes re-interprets “Walk On By” (which had been made famous by Dionne Warwick) into a 12-minute exploration. “By the Time I Get to Phoenix” starts with an eight-minute-long monologue before breaking into song, and the lone original number, the funky “Hyperbolicsyllabicsesquedalymistic” runs nearly ten minutes, a significant break from the standard three-minute soul/pop songs.”Walk On By” would be the first of many times Hayes would take a Burt Bacharach standard, generally made famous as three-minute pop songs by Dionne Warwick or Dusty Springfield, and transform it into a soulful, lengthy and almost gospel number. In 1970, Hayes released two albums, The Isaac Hayes Movement and To Be Continued. The former stuck to the four-song template of his previous album. Jerry Butler’s “I Stand Accused” begins with a trademark spoken word monologue, and Bacharach’s “I Just Don’t Know What to Do with Myself” is re-worked. The latter spawned the classic “The Look Of Love”, another Bacharach song transformed into an 11-minute epic of lush orchestral rhythm (mid-way it breaks into a rhythm guitar jam for a couple of minutes before suddenly resuming the slow love song). An edited three-minute version was issued as a single. The album also featured the instrumental “Ike’s Mood,” which segued into his own version of “You’ve Lost That Loving Feeling”. Hayes released a Christmas single, “The Mistletoe and Me” (with “Winter Snow” as a B-side).In early 1971, Hayes composed music for the soundtrack of the blaxploitation film Shaft. (in the movie, he also appeared in a cameo role as the bartender of No Name Bar). The title theme, with its wah-wah guitar and multi-layered symphonic arrangement, would become a worldwide hit single, and spent two weeks at number one in the Billboard Hot 100 in November. The remainder of the album was mostly instrumentals covering big beat jazz, bluesy funk, and hard Stax-styled soul. The other two vocal songs, the social commentary “Soulville” and the 19-minute jam “Do Your Thing,” would be edited down to hit singles. Hayes won an Academy Award for Best Original Song for the “Theme from Shaft”, and was nominated for Best Original Dramatic Score for the film’s score.Later in the year, Hayes released a double album, Black Moses, that expanded on his earlier sounds and featured The Jackson 5’s song “Never Can Say Goodbye”. Another single, “I Can’t Help It”, was not featured on the album.In 1972, Hayes would record the theme tune for the TV series The Men and enjoy a hit single (with “Type Thang” as a B-side).He released several other non-album singles during the year, such as “Feel Like Making Love”, “If Loving You Is Wrong (I Don’t Want To Be Right)”, and “Rolling Down a Mountainside”. Atlantic would re-release Hayes’s debut album this year with the new title In The Beginning. Hayes was back in 1973 with an acclaimed live double album, Live At Sahara Tahoe, and followed it up with the album Joy, with the eerie beat of the 15-minute title track. He moved away from cover songs with this album. An edited “Joy” would be a hit single.In 1974, Hayes was featured in the blaxploitation films Three Tough Guys and Truck Turner, and he recorded soundtracks for both. Tough Guys was almost devoid of vocals and Truck Turner yielded a single with the title theme. The soundtrack score was eventually used by filmmaker Quentin Tarantino in the Kill Bill film series and has been used for over 30 years as the opening score of Brazilian radio show Jornal de Esportes on the Jovem Pan station .Unlike most African-American musicians of the period, Hayes did not sport an Afro and instead chose to shave his head bald. Hayes was one of the creative influences behind the southern soul music label Stax Records, where he served both as an in-house songwriter and as a record producer, teaming with his partner David Porter during the mid-1960s. Hayes, Porter, Bill Withers, the Sherman Brothers, Steve Cropper, and John Fogerty were inducted into the Songwriters Hall of Fame in 2005 in recognition of writing scores of notable songs for themselves, the duo Sam & Dave, Carla Thomas, and others.The hit song “Soul Man”, written by Hayes and Porter and first performed by Sam & Dave, has been recognized as one of the most influential songs of the past 50 years by the Grammy Hall of Fame. It was also honored by The Rock and Roll Hall of Fame, by Rolling Stone magazine, and by the RIAA as one of the Songs of the Century .During the late 1960s, Hayes also began recording music and he had several successful soul albums such as Hot Buttered Soul (1969) and Black Moses (1971). Hayes also worked as a composer of musical scores formotion pictures. He is well known for his musical score for the film Shaft (1971). For the “Theme from Shaft”, he was awarded the Academy Award for Best Original Song in 1972. He became the third African-American, after Sidney Poitier and Hattie McDaniel, to win anAcademy Award in any competitive field covered by Academy of Motion Picture Arts and Sciences. He also won two Grammy Awards for that same year. Later, he was given his third Grammy for his music album Black Moses.In 1992, in recognition of humanitarian work there, he was crowned the honorary king of the Ada, Ghana region. He also acted in motion pictures and television, such as in the movies Truck Turner and I’m Gonna Git You Sucka, and as Gandolf “Gandy” Fitch in the TV series The Rockford Files (1974–1980). From 1997 to 2005, he lent his distinctive, deep voice to the character “Chef” on the animated TV series South Park. His influences are Percy Mayfield, Big Joe Turner, James Brown, Jerry Butler, Sam Cooke, Fats Domino, Marvin Gaye, Otis Redding, and psychedelic soul groups like The Chambers Brothers and Sly and the Family Stone. On August 5, 2003, Hayes was honored as a BMI Icon at the 2003 BMI Urban Awards for his enduring influence on generations of music makers. Throughout his songwriting career, Hayes received five BMI R&B Awards, two BMI Pop Awards, two BMI Urban Awards and six Million-Air citations. Biodiesel refers to a vegetable oil – or animal fat-based diesel fuel consisting of long-chain alkyl (methyl, ethyl, or propyl) esters. Transesterification of a vegetable oil was conducted as early as 1853 by Patrick Duffy, four decades before the first diesel engine became functional. Biodiesel is typically made by chemically reacting lipids (e.g., vegetable oil, soybean oil,animal fat (tallow) with an alcohol producing fatty acid esters. Biodiesel is meant to be used in standard diesel engines and is thus distinct from the vegetable and waste oils used to fuel converted diesel engines. 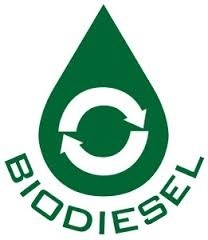 Biodiesel can be used alone, or blended with petrodiesel in any proportions. Biodiesel blends can also be used as heating oil. The National Biodiesel Board (USA) defines “biodiesel” as a mono-alkyl ester. On 31 August 1937, G. Chavanne of the University of Brussels, Belgium was granted a patent for a “Procedure for the transformation of vegetable oils for their uses as fuels” (fr. “Procédé de Transformation d’Huiles Végétales en Vue de Leur Utilisation comme Carburants”) Belgian Patent 422,877. This patent described the alcoholysis (often referred to as transesterification) of vegetable oils using ethanol (and mentions methanol) in order to separate the fatty acids from the glycerol by replacing the glycerol with short linear alcohols. This appears to be the first account of the production of what is known as “biodiesel” today. More recently, in 1977, Brazilian scientist Expedito Parente invented and submitted for patent, the first industrial process for the production of biodiesel. This process is classified as biodiesel by international norms, conferring a “standardized identity and quality. No other proposed biofuel has been validated by the motor industry.”As of 2010, Parente’s company Tecbio is working with Boeing and NASA to certify bioquerosene (bio-kerosene), another product produced and patented by the Brazilian scientist. Research into the use of transesterified sunflower oil, and refining it to diesel fuel standards, was initiated in South Africa in 1979. By 1983, the process for producing fuel-quality, engine-tested biodiesel was completed and published internationally. An Austrian company, Gaskoks, obtained the technology from the South African Agricultural Engineers; the company erected the first biodiesel pilot plant in November 1987, and the first industrial-scale plant in April 1989 (with a capacity of 30,000 tons of rapeseed per annum). Throughout the 1990s, plants were opened in many European countries, including the Czech Republic, Germany and Sweden. France launched local production of biodiesel fuel (referred to as diester) from rapeseed oil, which is mixed into regular diesel fuel at a level of 5%, and into the diesel fuel used by some captive fleets (e.g. public transportation) at a level of 30%. Renault, Peugeot and other manufacturers have certified truck engines for use with up to that level of partial biodiesel; experiments with 50% biodiesel are underway. During the same period, nations in other parts of the world also saw local production of biodiesel starting up: by 1998, the Austrian Biofuels Institute had identified 21 countries with commercial biodiesel projects. 100% biodiesel is now available at many normal service stations across Europe. I have just read Heist, from James Patterson’s range of Short, exciting, fast-paced “Book Shot” stories. It features Three would be Jewel thieves named Charlotte Taylor, Alex Scowcroft and Barrett who have been planning a daring diamond robbery at a Hatton Garden Jewelers. However it goes wrong and gets violent when a rival gang also shows up at the same time, intent on stealing the same jewels. Curiously though, nobody reports the incident to the police afterwards and the Jewelers also seem strangely hostile and reluctant to talk to the Police. So Detective Inspector Andrew Hill, who is on the verge of retirement, joins Detective Inspector David Morgan to solve the case. Hill’s investigations lead him to a dodgy entrepreneur named Marcus Slate who owns a Jewelery Shop who may have been planning an insurance scam until Taylor, Scowcroft and Barrett showed up and threw a spanner in the works. Now Slate’s thugs are after the trio in a mad Trans-European dash to recover the jewels, closely followed by Detective Inspector Hill.